Greetings to you my friends in Christ Jesus. Let us recognize that this is a New Day and with it comes all that God has promised to Be and do for us, and He asks that we offer to Him some of our time and to always keep Him in the center of everything we do on this New Day! Let us stay our place within the movement of His Holy Spirit. Amen. The Promises of God through Jesus are our truth, our hope and our faith to hold onto each and every day. 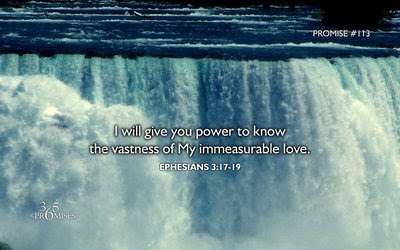 Please do not dismiss His Promises as having no power for us today. The Spirit of The Lord comes to comfort and to guide us in our challenging seasons. We must deliberately keep our focus on our faith in Jesus. This keeps our dependence and trust not on the things of the world but on things that are eternal. We Can Trust God when He tells us that He will be our shelter and our safe haven from destructive storms. This does not mean that we will not be challenged through these difficult circumstances, but that we can depend on our Father to bring us through Every situation in victory. We are His beloved children and He takes great pleasure in preparing the way for us to go. He has a never ending Love in all His planning for our days. When we look for God to be in All things that concern our natural living here, we find Him right at the center of every Joy, every troubling ordeal, every drop of happiness, every terrible action, every accomplishment, we find Him in every place and space that we look for Him to be. When we wait on the Lord, and allow His Spirit to guide us we also find the unexpected harvest of good things, which is ordained by the Lord. These great unexpected fruits may be covered by the weight of oppression and misdeeds, misinformation and the absence of Gods applied truth. When these things are taken from us for any number of reasons, all that is left is what they created; a false image of happiness and comfort because many trust in things of this world instead of things eternal from the Spiritual realm. Our LORD joins us in all our effort. Remember, let no person separate what God has joined together—this we are reminded of that Jesus reconciled us back to God through His love. Let nothing pull you away from the Love that God has for us, nor from the love we have for Him through our relationship with Jesus. Nothing can separate us from His love! Through our human logical thinking-when some use their natural eyes to survey their envirnoment- the eyes see the largeness of the issues we stand facing-some may say that extreme trials that try to separate us from Him must be larger and stronger than God, right? But the answer is NO. Not unless we give it permission to do so. Only in the minds of those too fearful to trust and use what faith they have will believe this to be correct. Those that only seek deliverance from the circumstances they are within will accept that God has forsaken them when they are not removed from the trying situations. Many times God will not remove the situation from us-but is always with us as we go through the circumstances to help us get beyond their reach. This is done so that we are made whole through suffering for Christ’s sake. Jesus will love us into wholeness is we allow Him to do so. If we allow the trials and troubles to put a wedge between our trust in God, then these wedges will complete their task. These people that run when they are not taken out of the difficult situations, will resort to working things out on their own. By way of human thinking they try manipulation, confusion, sleight of hand, lies, anger and relying on others that live this way for help. 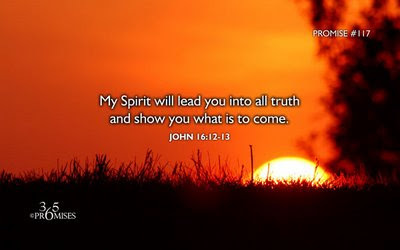 Those that are full of God’s truth and love—that will stay the course no matter what or who comes their way--These who have given up everything for Jesus will have a mind that is renewed by the Love of God and by His Word. To be in our right minds is how we will make it through each and every day of every challenging front that we face. Lord thank You for Your Strength, mercy, grace and compassion. In Truth, nothing is greater than His love for us—and He is determined to bring us out! Amen. The present conditions that many of us find ourselves faced with—this oppressive weight of certain trials and troubles is not legal in heaven. It does not come from heaven and is not legal to operate against us here – knowing this, we must know that it is not able to succeed against us here. God is for us-Who can be against us? 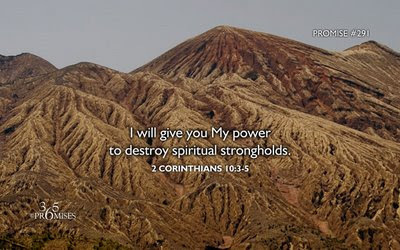 Knowing that God is with us and for us keeps us in our right mind and He is tearing down the natural and spiritual strongholds set forth to destroy us-they will come to naught. Thank You Father for your season of abundant Spiritual rain that You have sent forth to restore your children so we can make it through to the victory that has already been created for us. We listen for the coming of the wind that is Your Holy Spirit bringing the season of rain for our needed renewal. We give to You all honor and glory through our lives. We seek You in every situation and circumstance that we face-we already have the victory that You have set in our hands! Joyfully are we, In the name of Jesus, amen. Praise God in Jesus' Name! Amen! We used to sing in church, "Ride on King Jesus! No, Man can not hinder me! Ride on King Jesus! Ride On! No, Man can not hinder me!" Thank you for preaching and teaching this truth! Huh! Amen!!! I am looking to the rock and earth of Love from which I am made, which is the Love of the Most High God! Amen and THANK YOU!!! Thank you for your obedient Love and Truth! Thank you for "feeding" us even as you search for "food" to feed yourself. This is the way of Christ and it is abundant and plentiful! It is eaten and does not go away. It bears fruit, ripe/sweet/righteous fruit and seed from which grows many fruitbearing trees of righteous plenty Love. Thank you for feeding us! Even as you sow seeds, thank you for encouraging us, even as you reach out and grab hold of your endouragement! You didn't have to do it! You could have said, "Me and mine need ours first!" Instead you said, "We are ALL one body in Christ and this body is hungry. I will do my part to feed us corporately and in unity, by faith with Love!" Oh holy Spirit--you are welcome in this place! Oh heavenly Father I thank you for your servant. Lord God in the Name of Jesus--You are worthy to be praised! you have added some desert to this meal! i got nothing to add to your comment--but i will stand in agreement with you. all i got to say is AMEN! All Praise and Glory be to God and Jesus is my LORD!